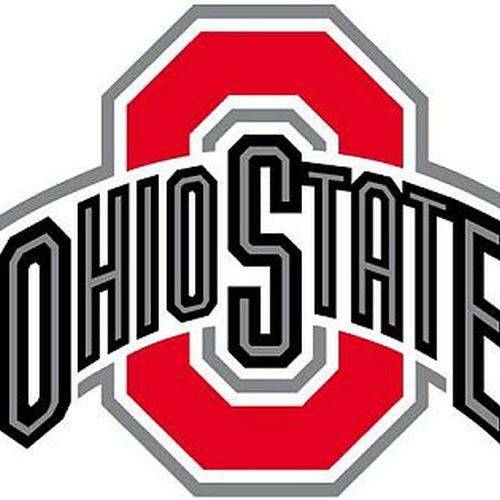 COLUMBUS — The Ohio State University released its list of students making the dean’s list for autumn 2017. To make the list, students must have a 3.5 grade point average and a minimum of 12 credit hours. Local students on the list included Jason Eugene Adams, Lima; Molly Elizabeth Albert, St. Marys; Gabriella Janae Allen, Lima; Laken Marie Ambrister, Lima; Alexandra Moree Andrews, Waynesfield; Drew Bartholomew Anthony, Wapakoneta; Jessica Clare Armstrong, Lima; Andrew Troy Arnett, New Knoxville; Julia Elizabeth Arnold, Ottawa; Rachael Anne Ayers, Lima; Caleb Logan Ball, New Bremen; Ashley Nicole Ballinger, Lima; Rachel Lynn Ballinger, Lima; Kevin Barber, Elida; Laken Lisette Barnette, Vaughnsville; Alexis Paige Barnt, Elida; Makayla Marie Barrows, Lima; Makenzie Barrows, Lima; Elizabeth Rose Bartlett, Saint Marys; Samantha Renae Barton, Harrod; Kelsey Nicole Basinger, Pandora; Shaunna Kalene Basinger, Ottawa; Whitney Maya Baxter, Lima; Evan Thomas Bell, Lima; Karlie Marie Bellman, Ottawa; Kendra Bellmann, Ottawa; Aiyanna Leilani Bennington, Lima; Justin Nicholas Berg, Lima; Bronson Lee Best, Elida; Cassandra Lee Best, Lima; Shivani Sudhir Bhatt, Lima; Michayla Love Maryland Binkley, Wapakoneta; Hannah Marie Blair, Wapakoneta; Paul Michael Blasiman, Lima; Michael Kent Blosser, Bluffton; Charity Elizabeth Bodine, Lima; Zeke Ashley Bolon, Lima; Kelsey Borer, Ottawa; Shannon Renee Boroff, Elida; Emma Katherine Boughan, Columbus Grove; Brock Howard Bowman, Lima; Emily Paige Bowman, Lima; Austin Field Brachok, Lima; Nicole Marie Brandewie, Minster; Lloyd Clark Briggs, Lima; Adam Michael Brinkman, Ottawa; Garrett Edward Brinkman, Lima; McKenzie Kathleen Brinkman, Glandorf; Rachel Anne Brogee, Lima; Mindi Eileen Brookhart, Waynesfield; Samantha R Brooks, Lima; Alyssa Ann Marie Brown, Lima; Clay David Brown, Minster; Kaitlin Jenny Brown, Ottawa; Lance Everett Brown, Lima; Alex Marie Brunk, Lima; Jason Andrew Brunswick, Minster; Emily Elizabeth Buchanan, Wapakoneta; Luke John Buettner, Lima; Tayler Nicole Burchett, Lima; Alicia Grace Burgei, Columbus Grove; Colin James Burke, Saint Marys; Jesse David Burkhead, Minster; Michael Alex Burton, Wapakoneta; Jenna Elizabeth Bush, Lima; Nathaniel Byrne, Cloverdale; Emily Rose Campbell, Elida; Nicholas Patrick Canavan, Lima; Jarred Jason Carpenter, Lima; Ishya Kaavya Casukhela, Lima; Rohan Casukhela, Lima; Jack Anthony Cavanaugh, Ottawa; Eric Edward Clark, Delphos; Landon Myers Cluts, Bluffton; Lachlan Ray Clymer, Columbus Grove; Shannon Renee Coil, Delphos; Kaitlyn Marie Conine, Ottawa; Alyssa Kay Cook, Spencerville; Mackenzie Elizabeth Copeland, Wapakoneta; John David Cornell, Lima; Bailey Michael Cotrell, Cario; Brady Andrew Crea, Lima; Raven Nicole Cress, Lima; Mikaela Nikole Dahill, Lima; Kristen Lorraine Dammeyer, St. Marys; Huyen Nhu Dang, Lima; Emily Marie Daniel, Elida; Kirsten Jane Davis, Lima; Jacob Raymond Davisson, Lima; Olivia Marie Douglas, Ottawa; Marshall Richard Downing, Columbus Grove; Amanda Lynn Dues, New Bremen; Elisa Rinai Ehrnsberger, Lima; Alyson Elizabeth Elking, New Bremen; Kristen Ann Ellerbrock, Ottawa; Tanner Joseph Ellerbrock, Ottawa; Joseph Michael Ellis, Lima; Micah Jo Engle, Wapakoneta; Rachel Ann Ernest, Lima; Julia Maria Evans, Lima; Chloe Barbara Jean Everett, Ottawa; Nicole Julia Favale, Wapakoneta; Morgan Marie Felver, Saint Marys; Andrew Tyler Fischbach, New Bremen; Alexa Morgan Fisher, Lima; Rebecca Rene Fisher, Lima; Logan Kay Foley, Lima; Scott David Freeman, Lima; Tyler Anthony Freeman, Ottawa; Brooke Gabrielle Gantz, Lima; Haley Nicole Garland, Cairo; Andrew Stover Gibson, Wapakoneta; Molly J Gibson, Wapakoneta; Noah James Gibson, Lima; Garrett Dean Gilroy, Wapakoneta; Brianna Good, Fort Jennings; Jordan Jeremiah Grades, Lima; Addison Paige Gray, Wapakoneta; Amber Michelle Griesdorn, Lima; Drew Grone, Delphos; Caiden Mitchell Grothaus, Columbus Grove; Mikaela Ariana Guillen, Lima; Rachel Eileen Haehn, Wapakoneta; Nathan Lee Hager, Wapakoneta; Keanna D Hanefeld, Continental; Justin Joseph Hanf, Delphos; Dacoda Emily Joy Hanthorn, Lima; Cole Miller Harlow, Bluffton; Kashmir Jade Harwood-Bostick, Lima; Ross David Hashbarger, Ottawa; Madalynn Taylor Helmig, Lima; Briana Nicole Hemmelgarn, New Bremen; Brandon Joseph Hempfling, Ottawa; Adam Stephen Henderson, Wapakoneta; Britteny Lynn Hendrickson, Lima; Amber Lynn Herman, Ottawa; Tara Jeanette Herr, Cairo; Hannah Hiegel, Ottawa; Mbalenhle Hlongwane, Lima; Alex Richard Hoehn, Ottawa; Taylor Elizabeth Homan, Newbremen; Alexander James Horstman, Cloverdale; Jenna Ruth Horstman, Ft. Jennings; Jenna Kristine Houston, Lima; Bryant W Hovest, Pandora; Sarah Marie Hovest, Kalida; Desiree Marie Howell, Lafayette; Kennedy Elizabeth Hoying, New Bremen; Anthony John Huelsman, Minster; Aaron Huffman, Wapakoneta; Carly Marie Inkrott, Ottawa; Brian Jacoby, Wapakoneta; Hamzeh Jajeh, Lima; Muhammed Omar Jajeh, Lima; Nathan A Jenkins, Elida; Zachary Nelson Jenkins, Lima; Mychaela Dalaynee Johnson, Lima; Emily Kathryn Jones, Lima; Sari Elizabeth Jones, Lima; Morgan Lynn Jostpille, Elida; Nicholas Ryan Kaiser, Harrod; Jeremy Glenn Kaufman, Ottawa; Katelyn Marie Kaufman, Ottawa; Brandi Nicole Kerby, Lima; Nicole Rae Keuneke, Bluffton; Kaitlin Rose Kidd, Elida; Kara Lynn Kitzmiller, Minster; Riley Weston Klaus, Spencerville; William Alan Kleffner, Lima; Austin Patrick Klingler, Wapakoneta; Emily Claire Klopfenstein, Wapakoneta; Brooklynn Kohli, Lima; Amanda Marie Kohlrieser, Wapakoneta; Brittany Ann Kohls, Leipsic; Connor Norman Kohls, Columbus Grove; Samantha Kramer, Delphos; Emily Rose Kreinbrink, Leipsic; Nicole Lynne Kreinbrink, Leipsic; Andrea Teresa Krendl, Continental; Kasey Anthony Krendl, Lima; Bailey John Krouse, Ottawa; Conner Thomas Kuhlman, Ottoville; Kiersten Danielle Kuhlman, Ottawa; Kylie Ann Kuhlman, Lima; Jessica Marie Laman, Wapakonetaa; Richard Blake Lamb, Lima; Michael Anthony Lammers, Leipsic; Tyler Tod Lange, Spencerville; Alyssa Katherine Langhals, Columbus Grove; Steven Matthew Langley, Elida; Colin Laubenthal, Ottawa; Taylor Michelle Law, Wapakoneta; Rachel Mary Leffel, New Knoxville; Leigh Ashley Lehman, Lima; Luke Roger Lemmerman, St. Marys; Kylee Marie Leugers, Lima; Megan Catherine Long, Lima; Michael Jacob Loughrin, Lima; Phillip Robert Loveland, Ottawa; Paige Nichole Lucas, Elida; Derek Steven Maag, Ottawa; Jacob Clay Maag, Columbus Grove; Justin Maag, Ottawa; Megan Marie Maag, Ottawa; Michelle Marie Maag, Ottawa; Trevor Cole Maag, Kalida; Travis Norbert Maas, Leipsic; Coral Anne Mabry, Lima; Sarah Rae Mackesy, Lima; Kelsie Anne Macklin, Lima; Michele Nicole Magoteaux, Lima; Lindsey Alexandra Malsam, Columbus Grove; Brooke Kathryn Mangas, Ottoville; Ross Joseph Mangas, Leipsic; Corey Austin Marchal, Wapakoneta; Christopher Charles Mart, Lima; Shelby Helen Martell, Wapakoneta; Brooke Ann Martin, St. Marys; Katie Lynn McCray, Lima; Kelly Briana McGinnis, Lima; Elizabeth Rose McNamara, Lima; Ashley Taylor Meihls, Lima; Gage Thomas Mercer, Delphos; Kennedy Elizabeth Metcalf, Lima; Brice Alan Metzger, Bluffton; Emilee Joy Meyer, Spencerville; Erika Meyer, Leipsic; Kelsey Elaine Miller, Grover Hill; Kerrie Lynn Miller, Wapakoneta; Luke Miller, Lima; Morgan Elizabeth Miller, Wapakoneta; Morgan Taylor Miller, Harrod; Taylor Renee Miller, Lima; Wahajuddin Mohammad, Lima; Nathan Eugene Moon, Wapakoneta; Andrea Beatriz Morales, Lima; Morgan Brittny Morton, Elida; Courtney Frances Mosgrove, Cridersville; Kristen MiKayla Mullins, Pandora; Cameron Ashton Marie Murphy, Lima; Jonathan Collin Nartker, Ottawa; Zachary Edward Neumeier, Wapakoneta; Elizabeth Mahala Nichols, Cairo; Branden Nickles, Lafayette; Leah Kristine Niekamp, Minster; Riley Lee Niekamp, Saint Marys; Terence Keith Nielsen, Spencerville; Brent Louis Niese, Continental; Megan Theresa Niese, Leipsic; Mitchell Niese, Glandorf; Michaela Elizabeth Nordhaus, Ottawa; Alexander James Now, St. Marys; Cayla-Nicole Giles Ong, Elida; Alex John Osborn, Pandora; Daniel Paul Painter, Cairo; Joshua Allen Palmer, Lima; Wesley Andrew Patton, Lima; Makenna Delight Pauff, Lima; Na’Tyjia Tachelle Petaway, Lima; Lorrae Ann Phillips, Wapakoneta; Kristen Ashley Phipps, Lima; Devin Allan Pierce, Lima; Brian Joseph Pohlman, Delphos; Nathan Alexander Pohlman, Delphos; Kathryn Jane Prenger, Minster; Paige Josephine Purdy, Minster; Collin Jay Rambin, Lima; Brad Recker, Ottawa; Brian Anthony Recker, Fort Jennings; Johnathon William Redmon, Delphos; Trevor Reed, New Bremen; Ethan Craig Rex, Harrod; Kenna Jeanne Rice, Lima; Lauryn Renee Richardson, Lima; Logan James Ridenour, Columbus Grove; Alyssa Marie Ridinger, Columbus Grove; Thad Joseph Ringwald, Spencerville; Lyndsey N Roberts, Cridersville; Trey Markus Roney, Columbus Grove; Elisabeth Amy Ruth, Saint Marys; Kyle Evan Sawmiller, Spencerville; John Joseph Schaub, Ottawa; Kara Nicole Schimmoeller, Fort Jennings; Jessica Lynn Schmenk, Ottawa; Michael Herman Schmenk, Leipsic; Lindsey Rose Schmidt, Minster; Karli Raquel Schneider, Wapakoneta; Makenna Joan Schnipke, Ottawa; Annie Marie Schramm, Columbus Grove; Danielle Lea Schramm, Columbus Grove; Austin James Schroeder, Ottawa; Cassandra Schroeder, Ottawa; Collin James Schroeder, Leipsic; Grace Ann Schroeder, Columbus Grove; Renee Lauren Schroeder, Ottawa; Ross Vincent Schroeder, Leipsic; Tory Joseph Schroeder, Ottawa; Benjamin Schlenker Schroer, Wapakoneta; Robyn Lane Schumacher, Columbus Grove; Michelle Catherine Sdao, Ottawa; Brett Andrew Selvaggio, Lima; Elizabeth Ann Severt, Wapakoneta; Lucas Daniel Severt, Wapakoneta; Erica Renee Sheehan, Bluffton; Jacob Riley Short, Lima; Karsen Rose Shrider, Wapakoneta; Anthony Siefker, Lima; Courtney Rose Siefker, Lima; Ryan Jeffrey Siefker, Ottawa; Cory Blake Sims, Wapakoneta; Carly Ann Smith, Elida; Ericka Marie Smith, Lima; Jeremiah Roland Smith, Lima; Whitney Ann Smith, Ottawa; Zachary Layne Snider, Saint Mary’s; Alora Lynn Stacey, Lima; Adaleigh Jean Staley, Lima; Samantha Jean Stallkamp, Lima; Steven Richard Stark, Lima; Michelle Nicole Stayonovich, Lima; Ashley Rose Stechschulte, Ottawa; Benjamin Joseph Stechschulte, Lima; Kaitlin M Stechschulte, Fort Jennings; David Scott Stewart, Wapakoneta; Tyler James Stiles, Wapakoneta; Andrea Marie Stocker, Lima; Jon M Stocks, Elida; Abby Paige Stoll, Lima; Robert Jay Stratton, Bluffton; Emilee Kathleen Stroud, Lima; Victoria Marie Sullivan, Lima; Brennan Alex Swick, Lima; Kyle Jordan Tatad, Lima; Nicole Anna Teffenhardt, Ottawa; Kayla Marie Thien, Minster; Garrett Philip Thomas, Lima; Zakary Lynn Thomas, Harrod; Claire Elizabeth Thompson, Delphos; Joshua Lee Tidd, Lima; Caitlyn Lorma Topp, New Bremen; Brooke Alison Unterbrink, Ottawa; Zachary Steven Unterbrink, Ottawa; Alisha Ann Valenti, Cridersville; Joseph Corey Van Oss, Cloverdale; Sophia Gabrielle Venturella, Lima; Alexandra Joan Verhoff, Ottawa; Jordan Phillip Verhoff, Ottawa; Kaylyn Marie Verhoff, Kalida; Kyle Andrew Verhoff, Ottawa; Ryan Robert Verhoff, Columbus Grove; Eve Gabrielle Villaruel, Lima; Alexander Joseph von der Embse, Fort Jennings; Jonah Gregory VonderEmbse, Ottawa; Samantha Lyn VonderEmbse, Leipsic; Cynthia Hayley Jean Wagner, Lima; Emma Josephine Wagner, Lima; Sara Marie Warner, Wapakoneta; Jenna Renee Warnimont, Ottawa; Imani Lakayla Sharai Watson, Lima; Brandon Lee Weis, Ottawa; Logan Jacob Wiedenbein, Cridersville; Kimberly Frances Willamowski, Lima; Atticus Gerard Williams, Lima; Austin Zachary Williams, Ottawa; Joshua Ryan Wilson, Lima; Samantha Lee Wilson, St. Marys; Taylor Lynn Winters, Lima; Travis Taylor Wireman, Lima; Lindsey Christine Wisher, Elida; Rachel Ann Woodruff, Bluffton; Mackenzie Jean Wurth, Columbus Grove; April Michelle Yoakam, Elida; Jade Marie Zeller, Kalida; Tyler Joseph Zender, Ottawa; Abbigayle Lousie Zircher, New Bremen; and Leanna Lynn Zynda, Ottawa.